The lead up to Miss Cooly Rocks On! 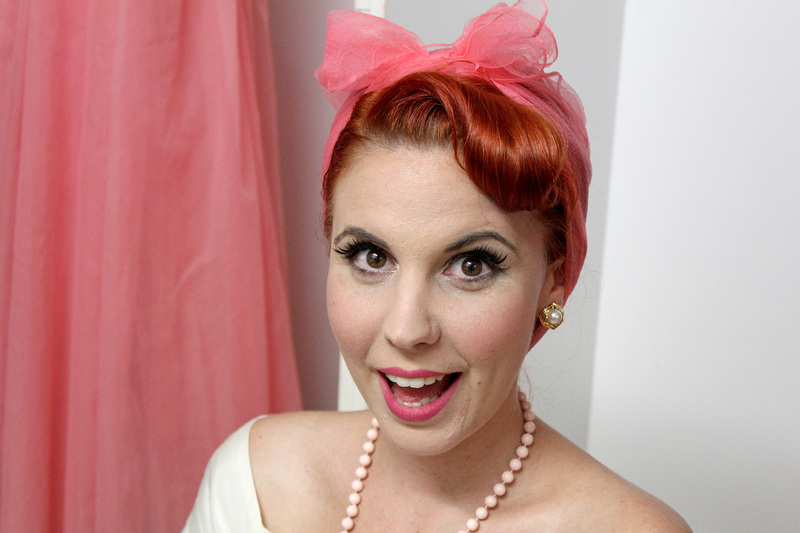 Early last week I was ecstatic to find out I had been selected as one of 12 lucky finalists competing in the upcoming Miss Cooly Rocks On pageant. This pageant makes up just a small part of the Cooly Rocks On festival, which runs from May 30 to June 9 in Coolangatta. This will be my first year attending the festival and I am super dooper excited to say the least! 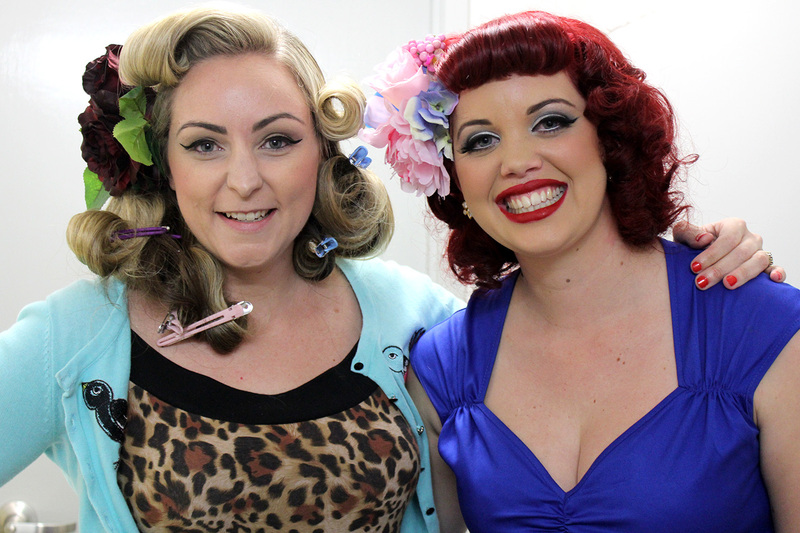 This year, the entrants of the pinup comp were asked to submit a video as part of their entry. Last year the poor judges were faced with a very tough decision picking from photos of the girls involved and hoped that this year, the videos may help them in their decision. I have always had an interest in video and editing so making a video was lots of fun! From what they said though, it still wasn’t an easy job. Hence my excitement to find I was one of the lucky ladies. It’s always disappointing that not all entrants can take part though. I’m hoping I will still get the chance to catch up with my pinup friends, regardless of whether they are actually taking part in the comp! As the pageant quickly approaches, I’m currently planning the last little bits and pieces for my outfits which is exciting! Five outfits over two days: It’s lucky I’ve been shopping a lot (too much) of late! If you haven’t seen it already, here’s my video entry! Saturday June 7, 6:30PM Start in the Cooly Rocks On Marquee. Well, I couldn’t think of a better thing to write about for my first blog post, than the one and only Garterbelts and Gasoline Pinup Comp! The competition that despite all my reservations and nerves, I was lucky enough to take of the title of! Now I had to write about that, right?! It’s been a busy couple of weeks, but I’m finally forcing myself to sit down and type a few words about what was a truly amazing experience. In the lead up to the competition, I honestly wasn’t sure at all what to expect on the night, or how to feel. I had no idea whether my routine was any good, like anyone else’s, different to everyone else’s or whether this would be a good or a bad thing! Sadly, I had never attended the competition as an audience member so I wasn’t sure how the whole process was going to work. I was surprised by how anxious I was about the whole thing. I danced a few different dance styles for around five years as a teenager and also studied drama at school. So by no means am I a stranger to hitting centre stage and being blinded by some bright lights. In fact, I quite like it. However in this case, I think it was definitely fear of the unknown. It is at this point that I would like to highlight just how broad the term “routine” is. My good friend and colleague had suggested my routine consist of me playing wine glasses…so yes, the term is definitely broad. Having no idea what the other lovely contestants would be doing really upped the anti. I speak for myself when I say it was a hard because on the one hand, you wanted to know what the other ladies were going to do in their routine, so you knew your idea wasn’t completely insane. On the other hand, it’s nice to keep it a little bit of a mystery, so you are surprised by what people bring to the table on the night. After a few weeks of attempting to practice my routine in my shoe box of a lounge room, I was definitely not feeling overly confident when the big night swung around. I was confident that I knew my routine…but was still not so confident about whether it was actually any good or not. My darling partner put up with me talking about this….for days on end (God love him). He even got in the car and trusted me with his life driving up Mount Tambourine. If that’s not love, I don’t know what is. Oh wait, yes I do: It’s waiting around in the car for three hours when your lady has to get to the venue early. What a sweetheart. All of the lovely contestants needed to be at the venue around 3PM so we had time to be briefed about how the night would run, get ready and then stay hidden away in the change rooms to keep our looks a secret ‘til we hit the stage. Funnily enough, it wasn’t until all of us ladies were crammed into a dressing room together….that I finally started to get excited about the night! At this point I’d realised there really was no point stressing about whether my routine was going to be “right”. I thought, why not actually enjoy this night now it’s here. 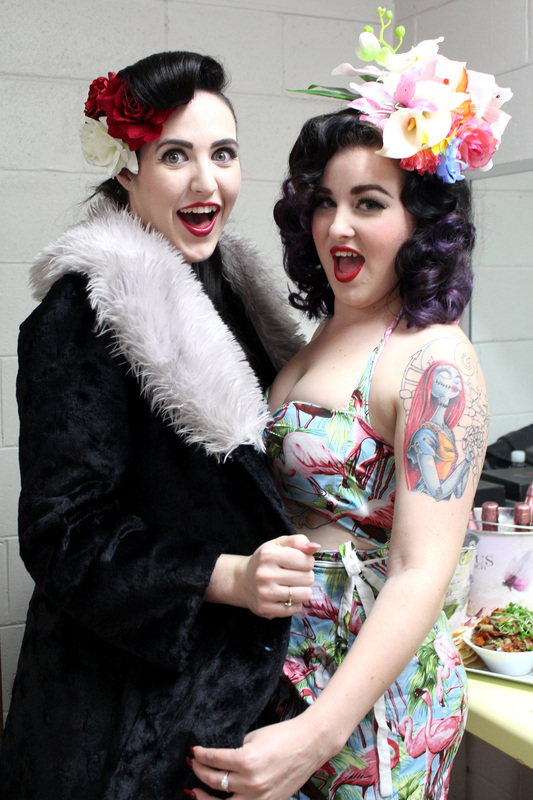 Let’s get all dolled up, hang out together and have some fun…and we did just that. It was nice to have AGES to get ready (and not be running around the house like a mad woman as I would be normally). Sitting about, chatting and applying makeup and doing our hair. 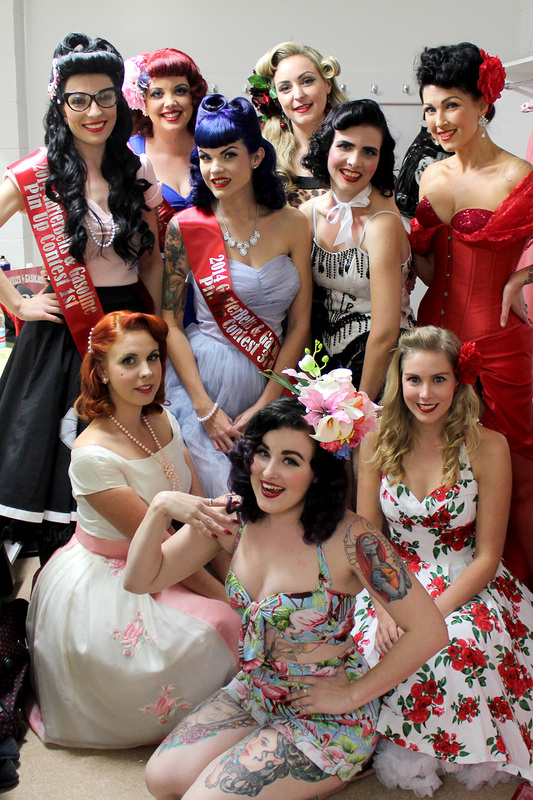 The contestants (most of whom I had the pleasure of meeting beforehand) were all incredibly lovely ladies. I think when you think of a competition like this, some may anticipate it being really competitive and nasty. But my experience with the competition could not be any further from that. All of the ladies were incredibly supportive of each other and the atmosphere back stage was really encouraging and fun. We were also lucky enough to have the lovely winner of the 2013 comp Miss Cleo DeFleur and the one and only Bettie Butcher to play the roles of our loving stage Mums. Couldn’t have asked for better people to hold our hands back stage, let me tell you! A dressing room highlight would definitely have to be seeing Sapphire Siren’s hands after she had done her hair: they were BRIGHT BLUE! I believe she referred to herself as a smurf at one point, when discussing washing her hair after it had been recently dyed. I learnt a lot about the dilemmas of blue hair! Before we knew it, we were counting down the minutes before it was time for us to venture out on stage one by one! I was worried about being second last…more time to see that my routine was definitely not “right”. But I actually really enjoyed watching all the ladies perform from behind the stage. I’m still hoping there will be a DVD so I can see the routines properly, but it was great watching from in the wings. I don’t know about the rest of the ladies, but I felt this sense of pride and excitement for my fellow contestants. At the end of the day, regardless of who wins, everyone had put themselves out there and done something awesome and daring. As far as I’m concerned, that’s something worth celebrating. Special mention goes to the lovely Anna D’Amour who was first cab off the rank. Her props weren’t out on the stage when her music started and she just ran out and acted like nothing ever happened. A true trooper! Nailed it honey! When I finally heard my own introduction read out, my heart began to pound hard in my chest. It felt like it was making its way up my throat: Boom, boom, boom. But from the minute I hit that stage, I remembered all the reasons I love it. It took me back to days of performing routines at eisteddfods and end of year concerts that you had been working on and working on all year long, ready to showcase to all your loved ones. Beeming with pride and excitement. I honestly had so much fun out there, I wished it hadn’t gone so fast! The judges didn’t take long to make their decisions either. Before we knew it, we were back out on the stage in our nice neat (practiced) line, waiting for the announcement. Third place to the gorgeous Miss Sapphire Siren… Second place to the lovely Miss Anna D’Amour… and First place to……..LUCY LUXE Sorry, what? Me? Really? Are you serious? Oh my gosh!? *I’ve been told my facial expression indicated I was somewhat shocked at the result. So shocked in fact, the lovely Bell A’mour had to tell me I could put my left arm down once my sash had been put on. I was literally lost for words (and body movement apparently). So off I trotted with my awesome knockout heels trophy and my sash. I legitimately felt like I could take on the world at this point. Followed up by the lovely words of congratulations from all my fellow contestants who had done so well themselves! Totally overwhelming. But in all seriousness…..WOW. Words can’t even begin to summarise my elated feeling. I realised that my routine didn’t need to be “right” after all. It just needed to be me, being confident and having fun. Isn’t this what it’s all about. I wish I could have stayed for longer, but I was one tired little pinup. It wasn’t long before we were packed up and in the car heading back down the mountain (even slower than the speed we had made our way up it, much to my man’s dismay). When I got home, the excitement pulsing through my veins prevented sleep, but it was worth being tired the next day, back up the mountain meeting and greeting people and having piccies taken with truly gorgeous cars. So, all in all, easily one of the best experiences of my life and one I would recommend to other ladies. Even if you don’t know what to expect, just (excuse the expression) grab it by the balls and go for it. You’ve honestly got nothing to lose, yet so much to gain. The beautiful Chrissy Edge applying her lippy! Looking cute as ever, Miss Peaches ‘N’ Scream. The lovely Miss Sapphire Siren looking babin’ as always. Caught Miss Francie Flathead mid hair and makeup to stop for a quick pic with Miss Anna D’Amour. Cheeky much?! Miss Garterbelts and Gasoline 2013 Miss Cleo DeFleur got up to a bit of mischief with Miss Belle A’mour. The ladies that made the night what it was! Myself wearing my winning sash (still a little shocked at this point) with all the lovely contestants: Miss Anna D’Amour (Second Place) , Miss Sapphire Siren (Third Place), Miss Francie Flathead, Miss Mae Em, Miss Simmi Deluxe, Miss Peaches ‘N’ Scream, Miss Belle A’mour and Miss Chrissie Edge. Thanks so much lovely ladies for a wonderful evening!